Playing with b&w and low light. I like it too! Very creative and nicely done. I like the effect too. 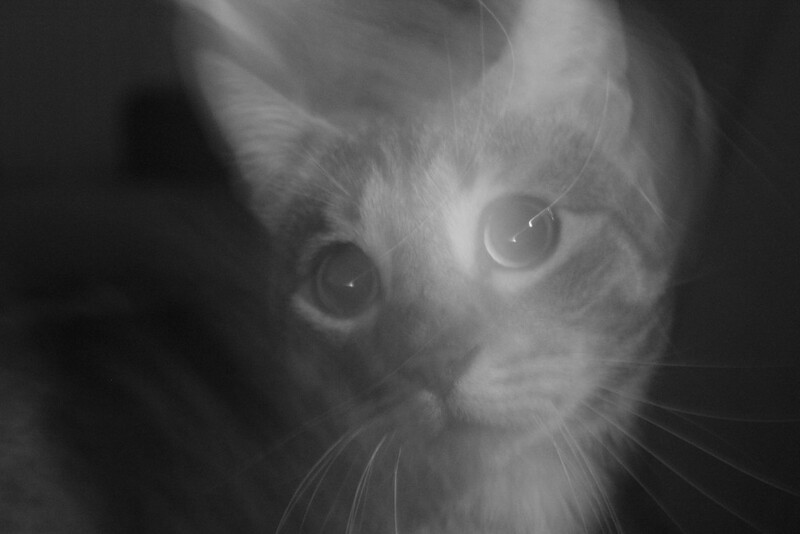 Ghost kitty! I love the effect of the low light and slow shutter speed!